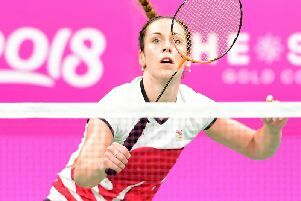 Commonwealth Games bronze medallist Chloe Birch believes that little compares to the feeling of stepping out onto the badminton court in front of a jam-packed venue of adoring home fans. 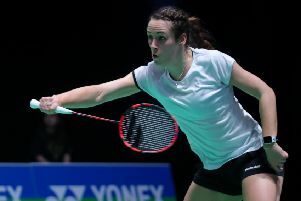 The Preston player is preparing for her sport’s oldest and most prestigious tournament, with the YONEX All England Championships in Birmingham now less than a month away. And with both women’s doubles and singles to worry about, the 23-year-old is by no means deterred by the prospect of having to fight on multiple fronts. “The doubles is a new partnership with Lauren Smith, but we’ve been doing really well and are excited to stamp our authority and prove that we’re one of the best pairs in the world and are progressing,” she said. “Women’s singles probably isn’t my main event, but I’ve still had some really good results in the last 18 months. “I’m really trying to challenge some top players. It’s exciting to play both. It’s quite busy because you can end up having two games in a day, but I’m used to it, so hopefully I’ve got at least two good performances in me. Birch knows that when it comes to the All England, everyone – Olympic and world champions included – brings their ‘A’ game. But with more than 30,000 home fans set to descend on the Arena Birmingham, the world No.44 will have a raucous 12th man in her team’s corner. And with the standard of competition as high as can be, Birch is hoping that she and her compatriots can spin one of sport’s best-loved narratives: an upset. “You get your underdog stories, so it’s really exciting,” she added. “I think there are players in the squad that have shown they’re good enough to compete at the top in the world and there’s no reason why, at the All England, they can’t prove that. “The home support’s awesome – I think you can really feel the buzz around the arena, especially when the English players are on court.